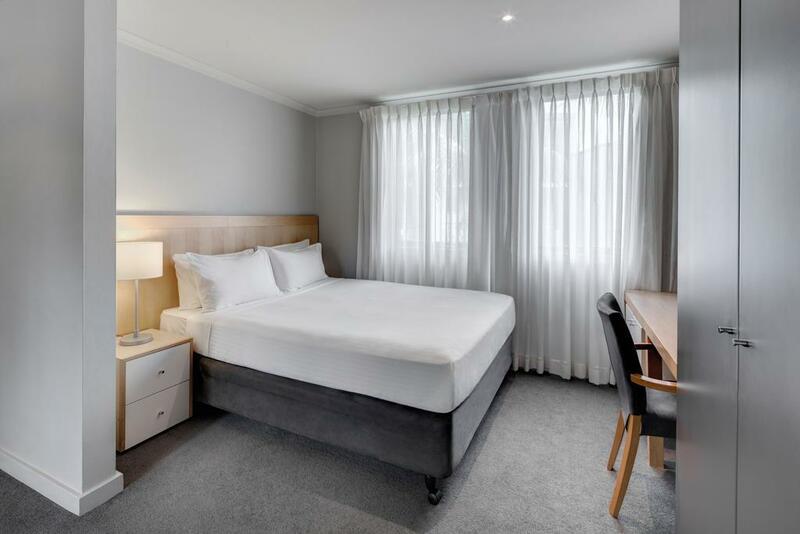 يقع فندق Adina Apartment Hotel Sydney Chippendale في منطقة تتمتع بمعالم كثيرة، وتعتبر المكان الأنسب لاكتشاف هذه المدينة رائعة الجمال و ما يحيطها. يقع مركز المدينة المثير على بعد 1.Km فقط. يقع هذا الفندق الحديث على مسافة قريبة من المعالم السياحية الشهيرة. 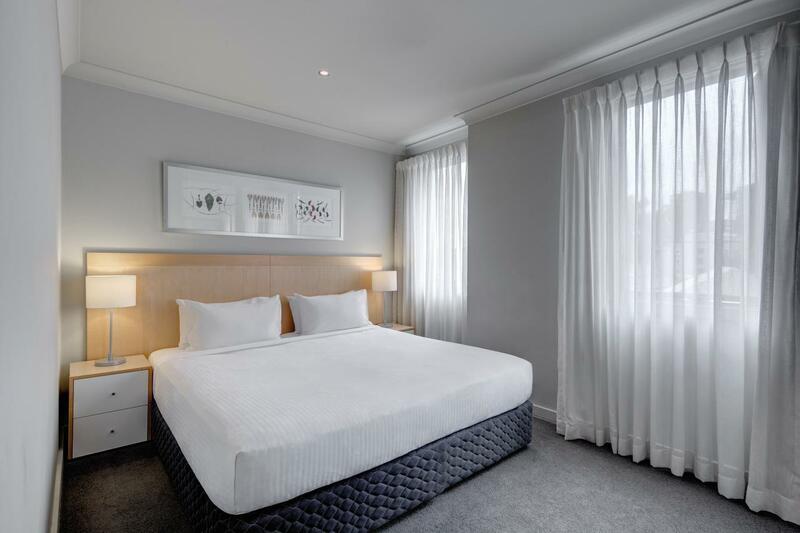 يقدم Adina Apartment Hotel Sydney Chippendale خدمات لا غبار عليها وكل أشكال اللياقة وحسن الضيافة اللازمة لإسعاد ضيوفه. يقدم هذا الفندق العديد من الخدمات الكفيلة بإرضاء أكثر الضيوف تطلباً. يمكن للنزلاء الاختيار من ضمن مجموعة من الغرف المصممة بعناية لتعكس جواً من الراحة، والتي يتجاوز عددها 41. يقدم الفندق مجموعة واسعة من وسائل الراحة المتنوعة، كمثل: مسار جولف - ضمن 3 كم, حمام سباحة خارجي, تدليك, حديقة. 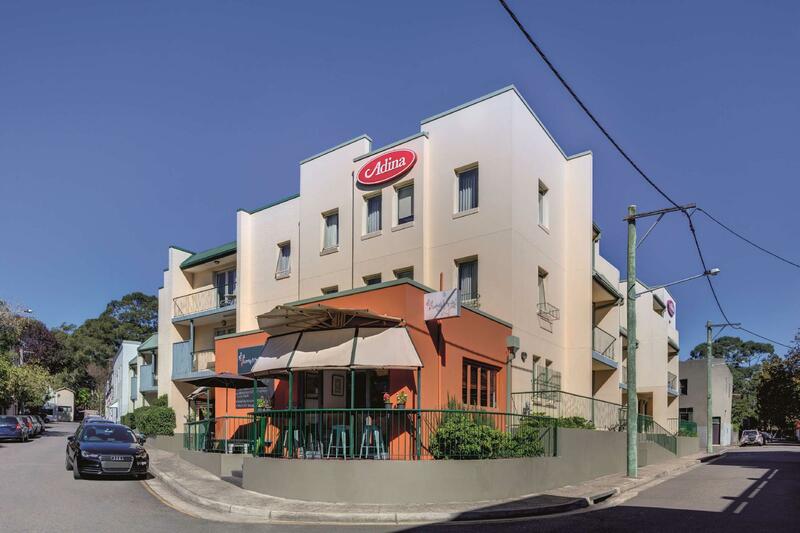 مهما كانت أسبابك لزيارة المدينة، فإن Adina Apartment Hotel Sydney Chippendale هو الخيار الأفضل لإقامة مثيرة وممتعة. This is my 2nd time staying in this hotel (first time was formerly known as Medina Apartments) and from memory the room was newer and well decorated. This time its not so bad though I had higher expectations. But overall I loved the location (note, I rented a car so they had car park for me which was great). Stayed here 2 nights. No lift for some parts of apartments. One side of double bed very close to wall so hard for one person to get out. Good facilities with washing machine in room and microwave. Overall very nice and close to train. Overall, our stay at the hotel was relatively good. The staff were excellent and the rooms were quite spacious. 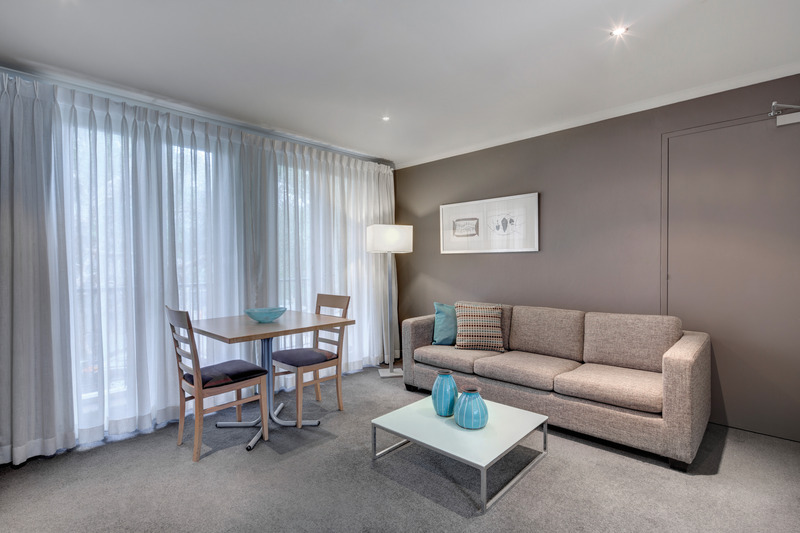 Adina Chippendale isn't as modern as other Adina hotels. Also, sound from outside in the morning (cars driving by, garbage trucks, people walking by) was extremely loud. 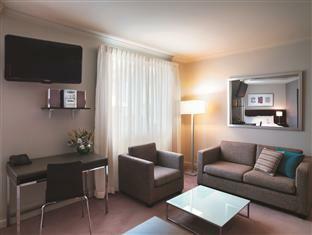 Besides the noise issue, great hotel being minutes away from the train station and downtown. Cramped space, with bed against wall on one side. Bathroom and kitchen infested with ants. Incorrect information on website - the apartments do not have cd/dvd players. Constant banging of doors which do not have soft-close function. 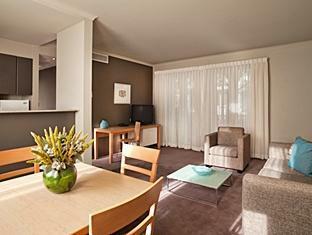 Near to the sydney university in walking distance. Bedroom and living room spaceous. Full equipped kitchen. The building is equipped lift but i do not see it on your facility description. The location is just next to the cleveland street but the address is a little bit confused to taxi drivers. Nuisance above both the hassle of the street or the inside of the hotel because of the lack of sound insulators and annoying door lights and the sound of the house keeping when they ckean anothet rooms . Great 1 bedroom apartment though we only needed a studio - none available at time of booking. 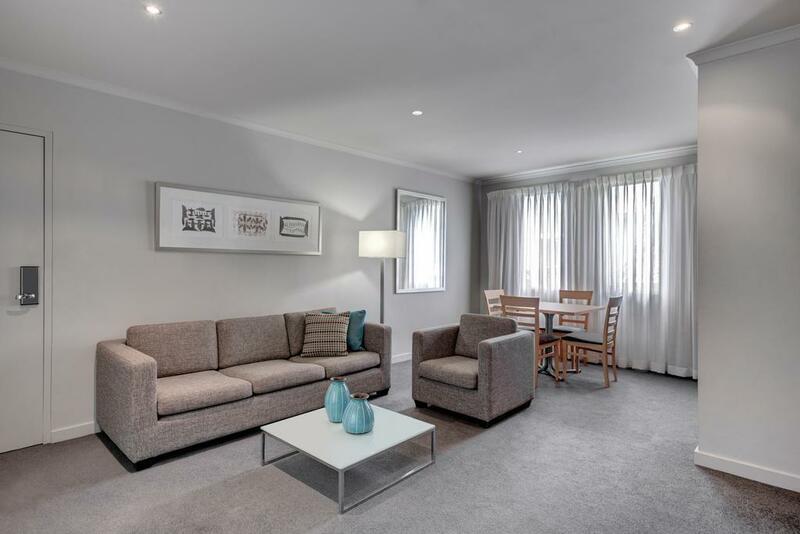 We wanted to be located in chippendale so this constraint meant we paid considerably more than what we wanted to pay but for some reason most accommodation was more expensive for that period. Taxi driver got muddled with his navigation on Ivy Lane instead of Ivy Street so a bit of messing about to get to Adina. Enjoyed the quiet surrounds as our apartment faced the garden and not the road. 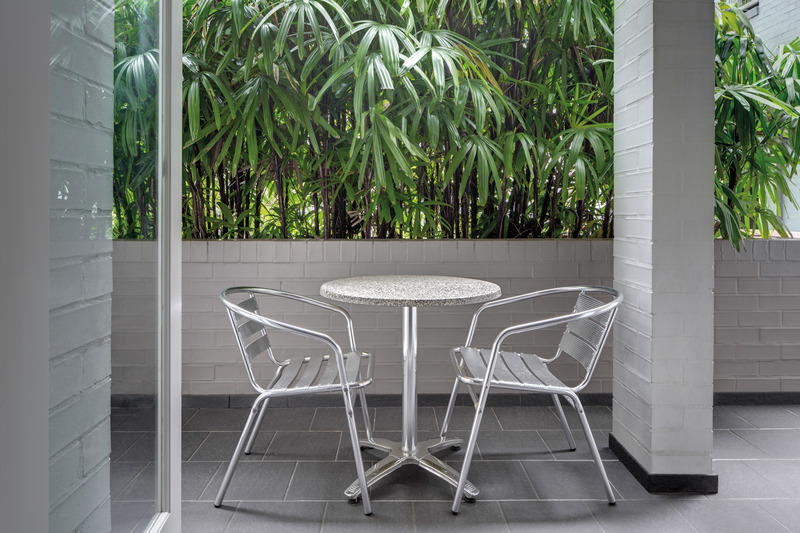 excellent location, all facilities well maintained and clean. only negative comment is that they changed the towels even though we had left them on the towel racks, as specified, so that they would not be changed. Was perfect for what we wanted! We needed to be near the Uni so the location was great. The room was clean but many of the tiles in the bathroom were broken which made it look run down. Could also do with decent size coffee cups. Courtyard with pool and parking were added bonuses. We visited Sydney for the weekend that included meeting up with friends. I have not come to terms with spending more than $200/night for accommodation outside of the CBD, but that is not Adina's fault. We had a car, so distance to public transport was not a problem. Overall we were quite happy with the facilities and the staff. Rooms could do with a spruce up and maintenance was lacking with lamps not working. Coffee/Tea not topped up. Very average. Location is not too bad. Best part is the great coffee shop next door for breakfast and the Japanese restaurant at the top of the street. Service by Lauren. Replacement milk as needed. Comfortable stay. Unfortunately room two on ground floor connects right up to a cafe which in the morning was quite noisy. Receptionist Lauren made my dealings with front desk enjoyable. Lauren went above and beyond and Adina are incredibly lucky to have such a great front of house representing them. Great. Perfect location for the university. Comfortable room and bed. Kitchen basically equipped. Bath tub. Would be improved by some maintenance. Small gym and small pool onsite. GREAT cafe attached to the hotel - wish they were open for dinner. Nice leafy quiet location but close walking distance to restaurants and 15min drive from airport. Staff were very friendly and accommodating. Cafe next door had great breakfast but wasn't open for dinner unfortunately.